To increase MJLM’s involvement in the future needs of Federal Agencies and Commercial markets; MJLM has added a new member to the E&TS family… Dr. Paul B. Ruffin! Dr. Ruffin will serve as a Senior Scientist Consultant in advanced technology for the E&TS Division. As an award-winning, world-renowned scientist and educator, Dr. Ruffin is undeniably a major asset to the Division. He has accumulated more than thirty years of experience within the commercial sector and at the Department of defense> he recently retired from his position with the US Army Aviation and Missile Research, Development, and Engineering Center (AMRDEC), Dr. Ruffin became a prominent Research Physicist conducting exploratory and advanced research and development in Fiber Optics, Micro Electro-Mechanical Systems (MEMS), and Nanotechnology. In July 2003, Dr. Ruffin was promoted to the highest Government-rank that a Research Scientist can attain in the Federal services, making him the first African-American to ever achieve Senior Research Scientist (ST) status in the US Army! He maintained this distinguished rank until his retirement from the Federal Service in March 2013. During his tenure at AMRDEC, Dr. Ruffin was tasked to provide senior technical leadership and guidance for research and development programs that supported revolutionary, state-of-the-art innovations in cutting edge technologies. His mission was to achieve improvements in system performance over military environments, reduction in weapon’s components size / cost, enhance system reliability, and respond to the urgent needs of Soldiers engaged in Global War on Terrorism (GWOT) advanced technologies. 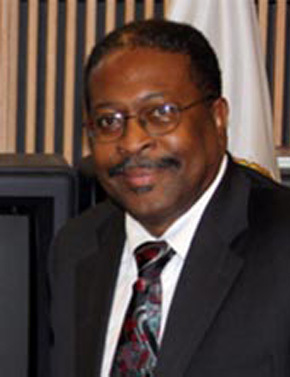 As a MJLM employee, Dr. Ruffin will utilize his invaluable technical knowledge-base, leadership skills, and Government / Academic relations in the Inertial MEMS Technology arena to strategically increase MJLM’s footprint in research and development (R&D), model and simulation (M&S), and other needed technologies within Federal agencies, academia, and commercial markets. Dr. Ruffin is an Alabama A&M University (AAMU) graduate in Physics with a doctoral-degree from the University of Alabama Huntsville (UAH) in Physics. Currently, he is an Adjunct Professor at AAMU in the Physics Department. Please welcome the newest member to join the MJLM family… Dr. Paul B. Ruffin!